Designed with an AUTO-CLEANING system, which keeps the screen clear all throughout the juicing process, and accounts for easy clean-up after each use. The upfront cost. It's heavy on the wallet. 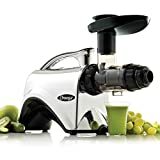 Omega has proven to be one of the best masticating juicer brands in the juicer manufacturing space and they are right with this new model also. 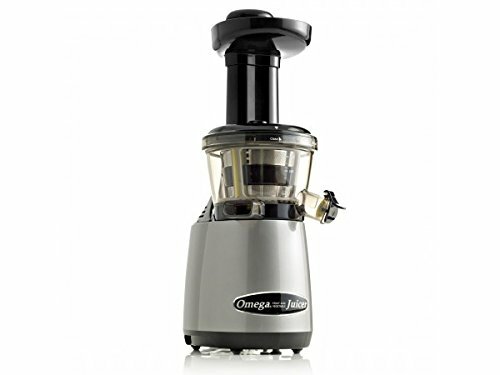 One of the best vertical masticating juicers is the Omega VRT 400 juicer. It measures 16 inches x 9 inches x 5.5 inches and is stable while juicing. 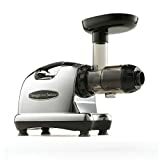 The motor runs on a slow 80RPM and is a single gear masticating juicer which provides a healthy juice. If you ever thought of juicing wheatgrass effectively, Omega VRT 400 vertical masticating juicer will do a great job. It also features a juice tap and a mixing system which enables you to juice a mixture of your favorite fruits within the juicer bowl/collector – just open the tap and enjoy your juice mixture.